Kerber, who began previous year as No 1 before finishing at No.22, continued her 2018 resurgence with a 6-2, 6-3 win over Camila Giorgi, ending the Italian qualifier's run of six wins in the tournament. Former world No.1 Angelique Kerber has continued her strong start to the season by advancing to the Sydney International semifinals with a 6-3, 6-1 win over Dominika Cibulkova. "I'm not looking back 2017 any more", Kerber, who won the Australian Open and the US Open titles in 2016, said. In the earlier semi-final, German Kerber was too strong for Italian qualifier Camila Giorgi. "I've had a great off-season and I'm working hard". It's just the beginning of the year. "So now, I just am trying to playing like I played years before and enjoying it again". Barty, ranked nineteenth, cruised past Barbora Strycova 6-3, 6-2, while 25th-ranked Gavrilova had direct passage to the last four when Spain's Wimbledon champion Garbine Muguruza withdrew after her win over Kiki Bertens with a thigh injury. "I'm trying to be aggressive and play like I did the year before last". "I just tried to play my tennis like I've played the last years and I'm so happy to be in the final in the first tournament of the year", Kerber said in a court-side interview. The other semifinal in Sydney will be an all-Australian affair between Ashleigh Barty and Daria Gavrilova. "Dash and I know each other very well so hopefully we can play some good tennis". The Queenslander's summer began with a first-round defeat in Brisbane last week but she has bounced back well ahead of the Australian Open, where she opens against world No.69 Aryna Sabalenka. She is guaranteed to break into the top 50 rankings for the first time on Monday. 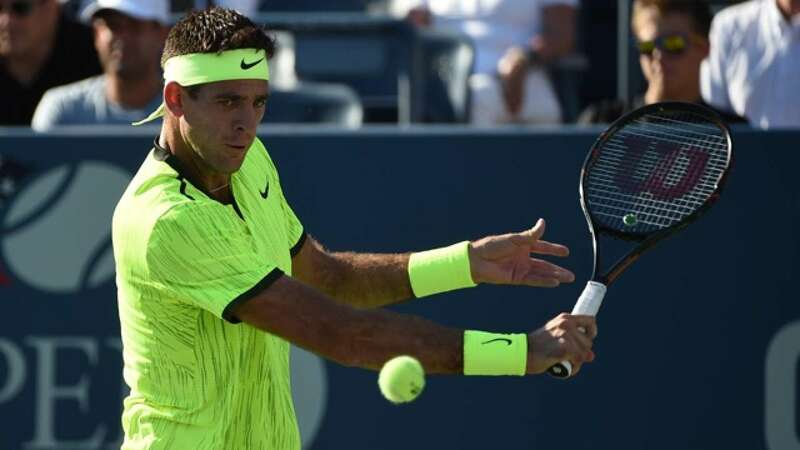 Former champions Juan Martin del Potro and Roberto Bautista Agut will meet Saturday in the final of the ATP Tour's ASB Classic in Auckland, New Zealand. Ferrer is yet to drop a set in Auckland and has shown glimpses of his old form that saw him win the tournament in 2007, 2011, 2012 and 2013. "Because I'd been playing so well, I expected more of myself". Defending champion Gilles Muller was knocked out of the Sydney International men's event by unseeded Frenchman Benoit Paire 6-4, 6-4.